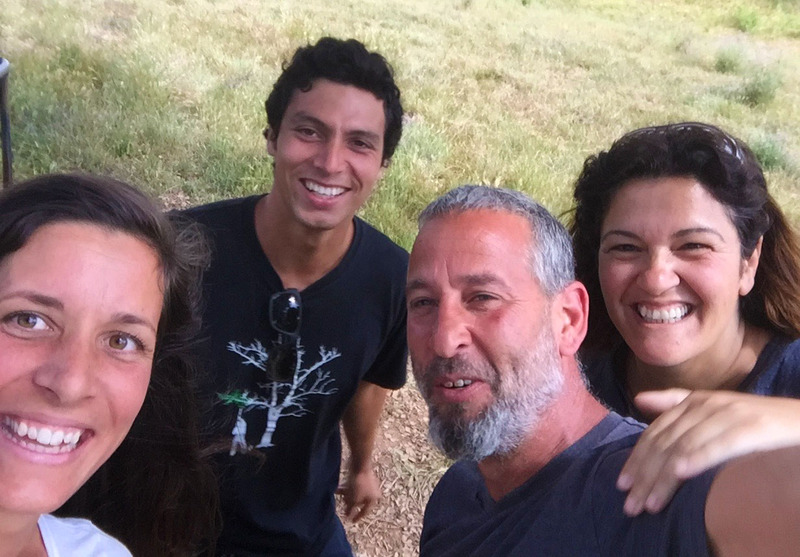 Azula and Surplus Permaculture Design are excited to invite you on a one month journey into everything that is Permaculture. 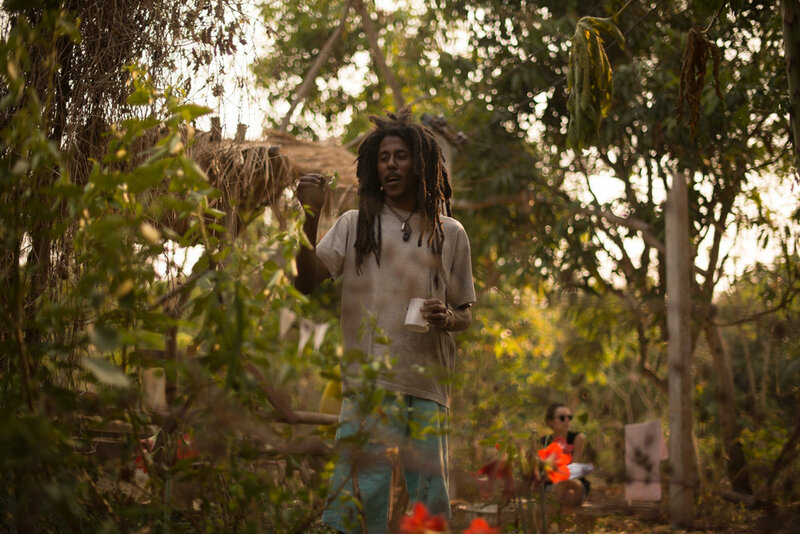 Not only will you complete a certified PDC, you will also gain valuable hands on experience during our week long Natural Building and Organic Gardening workshops as well as becoming an integrated member of the Azula community. Apart from the above courses you are also invited to join us for all other activities we love to share with one another, including; yoga, Capoeira, Acroyoga, dance, meditation, or any other skill being shared – for no extra cost of course. If you play any music instrument bring it along and join in for some live jamming that we often have in the evenings. We have a beautiful lake on site where you will be able to swim as you wish during breaks and free time and we are only a 15 minute drive to a beautiful beach. 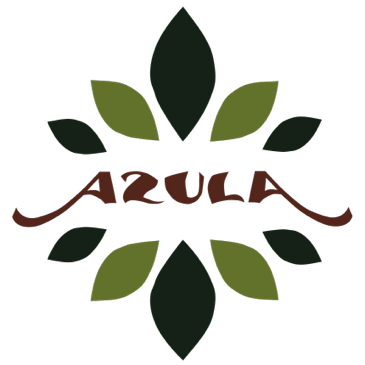 The Azula community wants to create a safe and welcoming place for you to try new things, experiment, laugh and let go, to explore a deeper connection with yourself and with the natural world in stillness and tranquility. You will learn so much during this month, but having a great time is also the goal, so come with an open and relaxed mindset to make the most of your experience! Early Bird Discounts: Get in there early and secure your month long Permaulture experience for only €1200 (Euros) if you sign up before December 31st 2018! This price includes all your meals, a comfy bed in the earth house dormitory for the duration of the month, transportation to and from the farm to Sao Luis (picking up on April 28th and dropping off on June 2nd) and all course tuition and materials. 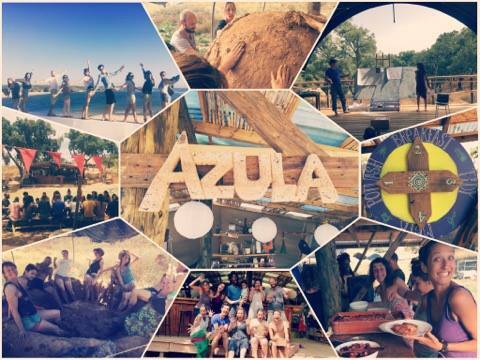 Please aim to arrive at Azula no later than 13:00 on April 28th for an introductory tour and delicious lunch. We ask all registrants to make a deposit of €200 (plus transaction fee) to secure your spot and the remaining fees (€1300) be paid on arrival or transferred to the Azula bank account. Lola Byron is a Permaulture and Natural Building facilitator, practitioner and consultant. 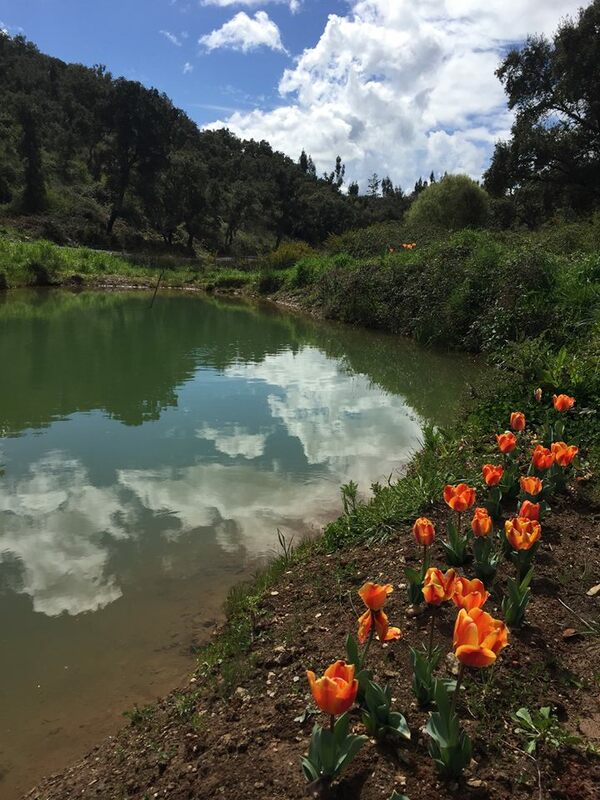 After traveling the globe with her young family and connecting with Permaculture projects they have now settled in Southern Portugal where she continues to teach and build. Originally from Birmingham, England, she has been a thriving Permaculturist and natural builder since completing her PDC back in 2010. Following this she was an active urban Permaculturist; designing and implementing a variety of community gardens and co-facilitating natural building and gardening workshops in and around the UK. With a background in studying then teaching Fine Art, Sculpture, when she discovered Permaculture and building with earth she knew she had found her calling in life and she loves to apply these artistic skills to create beautiful buildings from earth, specialising in adobe, cob and earthbags. Having now completed 10 house builds (project managing 8 of these) she is always excited to pass on her knowledge to inspire and empower others to re-connect with the earth, make positive changes and become more self-reliant. 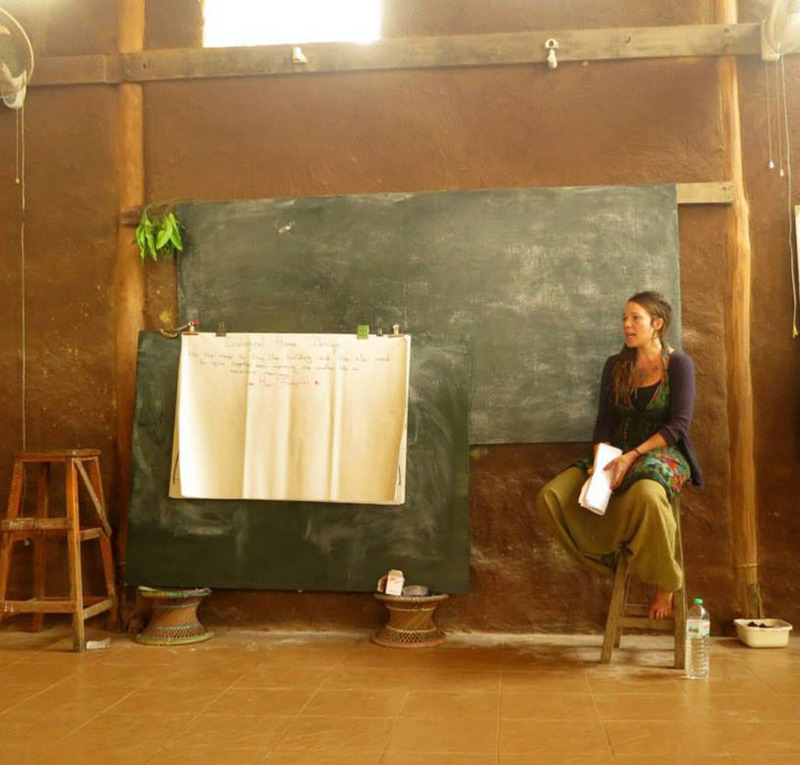 Lola was the natural building manager at Panya Project, Thailand for 3 years, where she taught numerous PDC’s, hands-on Permaculture and Natural Building Courses, and co-managed the volunteer and intern program as well as the daily running of the farm. Lola recently joined Surplus Permaculture Design, an international collaboration of Permaculture designers, as a consultant and project manager. Accommodation during the course will be provided in our earth roundhouse dormitories or bell tent dormitories with comfortable mattresses and pillows and close to our hot water compost showers and toilets. For those that would prefer more privacy there is the option to rent a private bell tent for a maximum of 2 people at an added charge of € 40 a day. They are in private and beautiful surroundings in close proximity to toilets and showers. We have limited tents so booking them in advance is a must. If you prefer, you can also bring your own tent and camp on the designated areas. Please be flexible about your sleeping space. If for some reason you would strongly prefer to be in one space or the other, please let us know, and we will try to make that happen for you.